Hey guys! Last week I talked about the things blogging with a busy lifestyle has taught me, so I figured that today I'd share some tips on exactly how I manage to keep myself organized and on top of my blog work while I'm busy. For those of you that don't know me that well, I always seem to be busy. I'm involved in tons of extracirriculars inside and outside of school, and I try to keep up with blogging whenever I can. Now that I'm out of high school and it's summertime, you'd think I'd have more time to get blog work done...but I actually have less. All of my free time is spent dorm shopping, at college orientations, preparing for college, working at my summer job, doing my summer assignments, etc. So you might be asking yourself how the heck I do it, which is my intentions for this post: to explain to you how! #1: Set aside a certain time to get blog work done. Most of the time for me it ends up being Sunday mornings, where I'll set aside an hour or two to make sure that I finish setting up and scheduling all of the blog's posts for the week. I sit down (away from distractions, which I mention more in #2), and I focus on setting up posts, updating the blog's review archive, being active on the social media, replying back to comments, entering giveaways and visiting other blogs, etc. I actually factor "blog work" into my daily planner for the week to make sure that I have a set time to get work done without worrying that I'll be interrupted somehow. #2: Distance yourself from distractions! I am well acquainted with the rabbit hole that is social media. When I'm doing blog work (such as I am right now), I usually stick my phone in the other room or facedown across the room on silent, and I only check it during breaks. Because the minute I cave and answer one text, I'll answer them all, and then check Twitter, and then Instagram, and then snapchat...and then, before you know it, all of my preciously scheduled blog work time is over. #3: Make social media a priority. Okay, I know this sounds like the complete opposite of #2, but hear me out. Since I'm constantly running around all day, by the time I get home I tend to be pretty exhausted and won't check the blog's Twitter. Then I'll notice that for five or so days in a row, all I did was Tweet the post links. Part of being a blogger is interacting with your followers. You're literally nothing except an empty space of internet without them. So what I've started doing is taking a lull in my day and setting my phone timer for ten minutes, and then I spend those ten minutes scrolling through the blog Twitter's feed, replying to Tweets, entering giveaways, etc. It's my goal to be active on the blog's Twitter for at least ten minutes each day, which is barely anything when you're super busy. It's easy to do, and I love interacting with you guys. #4: Google Drive is your best friend. I literally can't stress this one enough. Google Drive is great because you can schedule posts from your computer while doing blog work, or also from your phone/tablet when you get an idea for a post and you're on the go. #5: Read every waking chance you get. 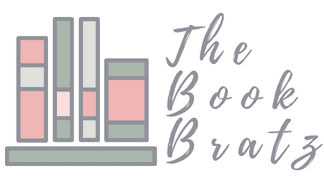 As book bloggers, reviewing will always be our top priority, even when we do other posts (such as this one) or promotions and such. When reading time is sparse, I learn to read every chance I get. I throw my book in my bag and cart it with me wherever I go, so I'm never without it. I'll read on line at the post office, in a waiting room, while getting a pedicure, etc. Stealing ten or so minutes of reading time everywhere you go will eventually add up and help you finish a book a lot faster than just trying to speed-read every night after a long, exhausting day. I asked some of you guys what your tips for blogging with a busy life are. Here's what you had to say! @thebookbratz schedule in a time every day/week to do it. I do my blogging from 9am-11am every day! 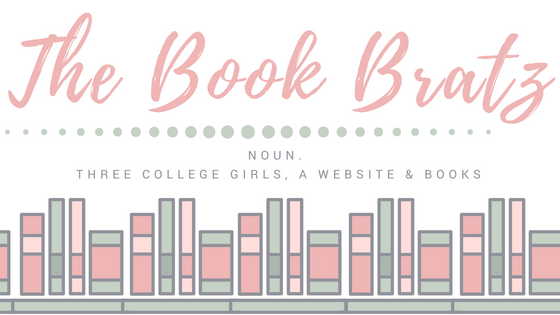 @thebookbratz schedule your posts!! It saves my life! @thebookbratz Lists. Lots and lots of lists. All the time and everywhere you can fit one. Lists are my lifesaver! @thebookbratz also posting on a schedule helps. I try to posts reviews every Friday and Monday and then other posts in between. It helps! I hope this post was helpful to you guys! No matter what people may think, blogging is a ton of work, and it definitely isn't for the faint of heart. I hope you use some of these tips to make juggling your blog and daily life a lot easier! Do you have any tips that weren't mentioned here? Comment them down below! Loved these tips and I REALLY need to schedule a set day for blogging. Right now it's kind of sporadic. The blog tour will definitely help with that.